“It is the beginning of wisdom when you recognize that the best you can do is choose which rules you want to live by, and it’s persistent and aggravated imbecility to pretend you can live without any.” – Wallace Stegner. Caroline Stevermer summed it up well – “How dreadful…to be caught up in a game and have no idea of the rules.” I am considering this as the first public draft and welcome comments to help provide clarity or shore up any gaps/deficiencies that may exist. Hit the jump to read the first set of rules! Addendum 1: Stun guns, grenades or any other temporary disorientation is not allowed. Rule 04: Bird must be photographed to count. Rule 09: You are not obligated to stop birding when birding companion experiences non-life threatening situations that require that person to cease or suspend birding activities. Addendum 3: Ticks although creepy as hell is not a life threatening situation. Addendum 1: It is perfectly acceptable to “scout” out birding location prior to companion arriving but scouter is obligated to disclose all finds and any birds discovered on exploration so fellow birder has an equal opportunity to get similar shots. 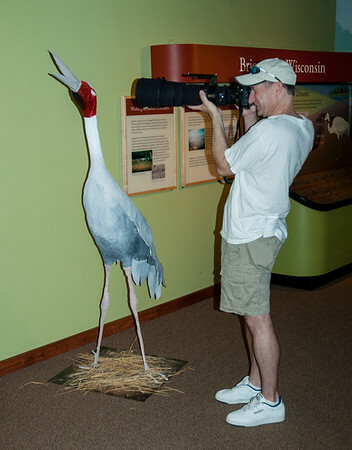 Rule 19 (added 6/5/15): Birds shot while on a corporate funded trips are permissible as long as fellow birders are informed before the trip where you are traveling and that you intend to bird on corporate funds. Addendum 2: The fellow birder may continue getting a bird in the tin if it is a likely new bird and it was noticed prior to the life threatening situation. Addendum 2a: The fellow birder must cease shooting after 7 minutes and attend to the fellow birder experiencing the life threatening situation. There you have it, the initial list of birding rules. Competitive, moi? No, sir! Maybe with the birds, but they’re really sneaky. Here are my initial comments for the three-month preliminary review phase of the first draft of the Rules of Birding. Harm, harm, who’s to say what’s harmful? Rocket-propelled netting is used to capture birds all the time by conservationists, and whether it’s disorienting is difficult to tell, really. I think it’s OK. Also, I would like to point out the careful wording that provides a loophole for a photographer to take a photograph after someone else hits a bird with a vehicle. With all due respect to Linda, this loophole should be closed. You only have to post the bird before counting it if your blog in any way has ever featured posts on birds. Otherwise it’s not applicable. I do agree that you have to post it to an online gallery before counting it. Rule 10: Birding time limitations should be considered guidelines only. As you know, I maintain that the bird’s identification must be made prior to leaving the county in which the bird was photographed. This rule and amendment would negate my biggest tactical advantage in the field! Too late anyway, I’ve already ordered a t-shirt with a large arrow that points out your lens. “World-famous photographer! See his pictures! Free tutorial!”. I personally believe that knowing when to use automatic mode is a sign of a professional. Not a bad start on rules, overall! I suspect additional modifications to the rules will follow.